Wines | Midnight's Promise Estate. 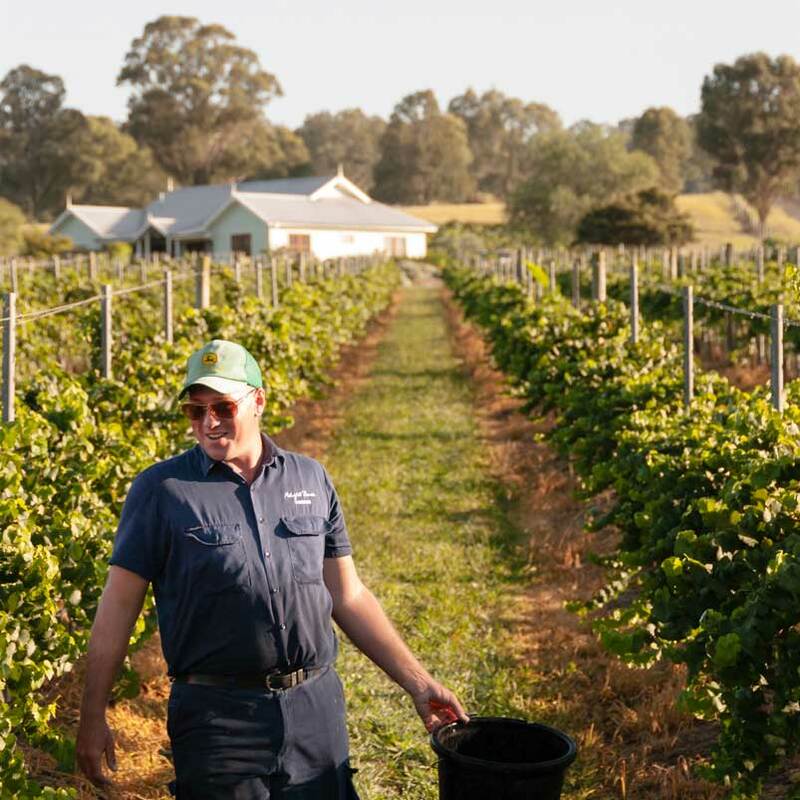 The Hunter Valley has a rich history of winemaking: there is something quite special about it. The combination of site, climate and soil impresses unique regional characters upon the wines produced there – what the French would call “terroir”. 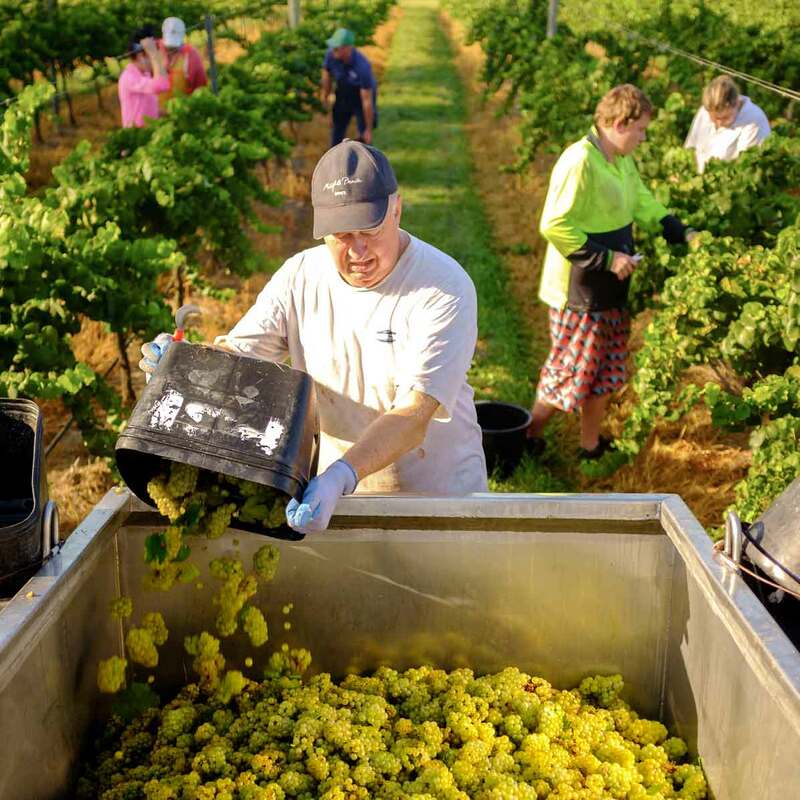 These regional characters distinguish Hunter Valley wines from their counterparts in other major wine producing regions and they are best seen in the varieties for which the Hunter Valley is renowned – Semillon, Chardonnay and Shiraz. Unsurprisingly the vineyards at Midnight’s Promise are planted to these varieties. 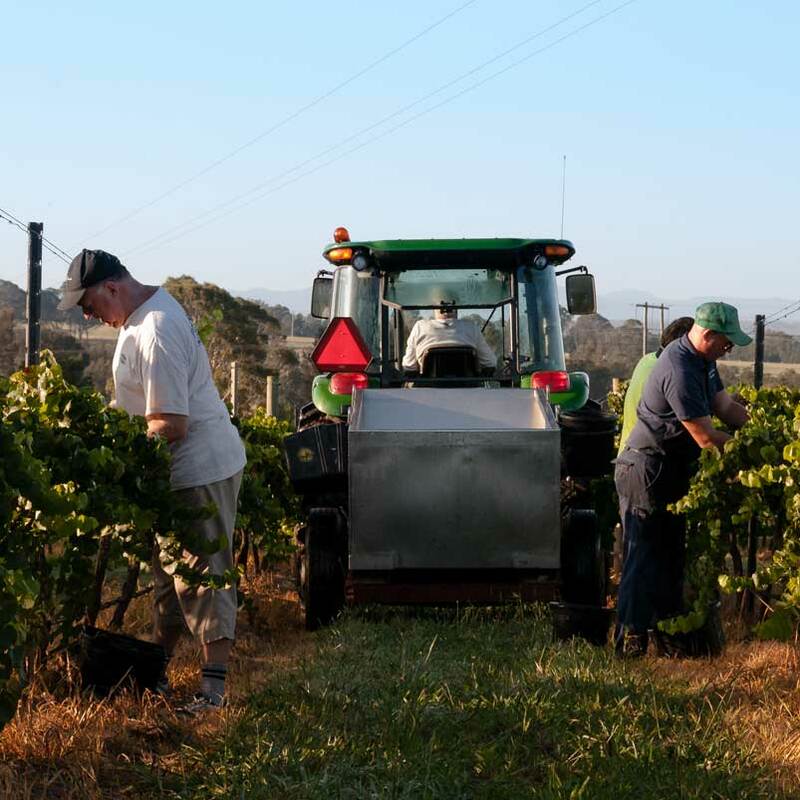 The vineyard is managed with a combination of traditional and modern viticultural practices so as to maximise fruit quality rather than quantity. While it would be nice to say that the grapes are harvested by a team of local maidens harvesting is usually done by machine at night (often around midnight) so as to ensure that the grapes are cool and sound – a promising start to the winemaking process. The brand name of our wines – Midnight’s Promise – is an allusion to this practice. Each vintage small quantities of wine are produced under contract by our talented winemakers Bill Sneddon and Matt Burton for release under our Midnight’s Promise label. Our cellar door is open for tasting and sales by appointment. You can also buy our wines via the online cellar door. Everything was late this year from budburst to veraison and through to harvest which finished, with Shiraz, on Friday 17th February 2017. Notwithstanding the succession of incredibly hot days, topping out at 47° on 11th February 2017, yields were up at Midnight’s Promise and quality good across the varieties. A pleasing outcome (largely due to the untiring efforts of our vineyard manager, Tristan) after the heartbreaking vintages in 2015 and 2016. Stay tuned for progress reports on the wines! Woohoo! Winestate magazine (May 2018 issue) has awarded the 2017 Midnights Promise Chardonnay 5 stars and ranked it equal top in its NSW chardonnay tasting!